The FBI reported Sunday August 27, 2017 that a fugitive Chicago resident on a Ten Most Wanted list was arrested Saturday August 26, 2017 in Guadalajara, Jalisco, Mexico, by Mexican Federal Immigration Officers. After eight years on the run, Chicago and Oak Lawn resident Luis Macedo, who is one of the FBI’s Ten Most Wanted Fugitives is now in custody, announced Special Agent in Charge Michael J. Anderson of the FBI Chicago Field Office. Mr. Anderson was joined by the Chicago Police Department Superintendent (CPD) Eddie Johnson; Cook County Sheriff Thomas J. Dart; Acting United States Attorney Joel Levin; and Cook County State’s Attorney Kimberly M. Foxx in announcing this arrest. Luis Macedo was taken into custody on Saturday, August 26, 2017, without incident in Guadalajara, Jalisco, Mexico, by Mexican Federal Immigration Officers in the State of Jalisco, Mexico, in close coordination with the FBI legal attaché office at the U.S. Embassy in Mexico City. Macedo was placed on the FBI’s Ten Most Wanted Fugitives list in May 2016. Macedo is currently in the custody of the FBI and will be turned over to local authorities upon arrival in Chicago. 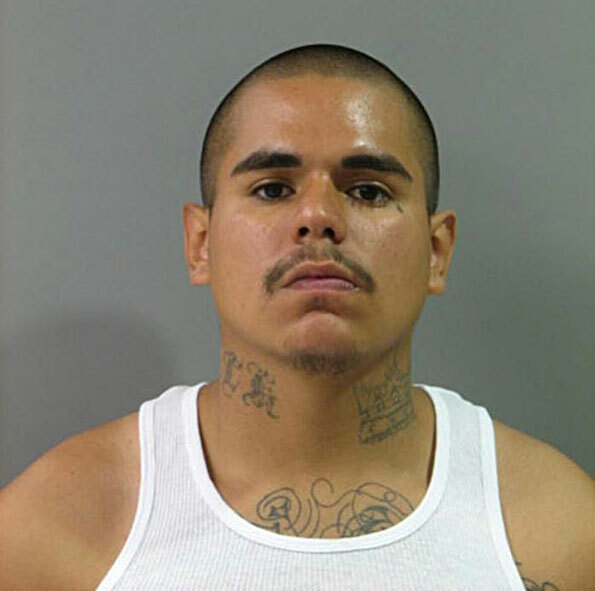 Macedo, 29, whose last known address was in Oak Lawn, Illinois, was wanted in connection with the May 1, 2009, death of 15-year-old Alex Arellano, who was brutally beaten, shot, and then set on fire by several alleged Latin Kings street gang members. On July 21, 2009, Macedo was charged with one count of first degree murder in the Circuit Court of Cook County. A Federal arrest warrant for unlawful flight to avoid prosecution was issued by the U.S. District Court of Chicago on May 27, 2010. The search for Macedo was coordinated by the Chicago FBI’s Violent Crimes Task Force, which is comprised of FBI special agents, detectives from the Chicago Police Department, and Cook County Sheriff’s Police investigators. Macedo was the 507th person to be placed on the FBI’s Ten Most Wanted Fugitives list, which was established in 1950. Additional information concerning Macedo and the FBI’s list of Ten Most Wanted Fugitives can be found by visiting the FBI’s website at www.fbi.gov/wanted. Luis Macedo, at age 28, and distinctive tattoos (police photo). Luis Macedo, a Latin Kings street gang member from Chicago, is wanted for the murder of a 15-year-old boy on May 1, 2009. Macedo led a group of Latin King gang members who beat the victim with a baseball bat, shot him, and then set his body on fire in the 3000 block of West 54th Street. Macedo was 21-years-old and had already been an active gang member since he was a young teen, when he killed Alex Arellano, according to the FBI. Macedo was in charge of the street crew that attacked 15-year-old Alex Arellano, who was in the neighborhood visiting his girlfriend. Alex Arellano was not a rival gang member. He was reported to have ordered the killing. Macedo and four of his accomplices were identified in weeks following the killing. The other four gang members were arrested and were either convicted at trial or pleaded guilty to the crime and are serving prison sentences. Macedo remains a fugitive. Luis Macedo was charged on July 21, 2009 with one count of first degree murder by the Cook County State’s Attorney. A federal warrant was issued for Macedo’s arrest on May 27, 2010 for unlawful flight to avoid prosecution. The FBI and Chicago Police Department reported years ago that Macedo has not been seen in the Chicago area since the attack. Macedo was believed to have been present in the southeast United States or Mexico. “The murder was classic mob mentality,” said Patrick Johnson in 2010. The Chicago Police Department detective and a member of the FBI’s Violent Crimes Task Force in Chicago was working to locate Macedo.